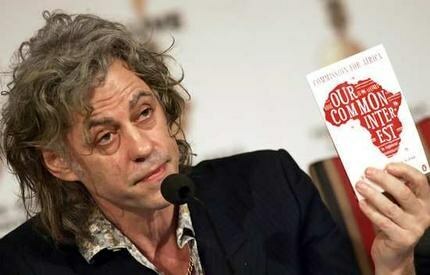 I want to tell Bob Geldof, no. No, no, no, no, no. It was bad when you did it in 1984, it remains bad, bad, bad, bad, bad when you do it now. But now, you’ve gone and made ANOTHER one, equally as condescending, sappily sweet and just smacking of that “white messiah complex” stuff you Brits seem to have perfected. Released November 17, 2014, the NEW and IMPROVED version of “Do they know it’s Christmas” features One Direction, instead of Boy George, and Sam Smith, instead of George Michael, and lots of other British musicians I don’t recognize. Which is kind of like the first one, except that I recognized a lot more of them back then cause back then it was a new concept and I, like it, was cool. Oh! And Chris Martin is in it – which of course makes everything cooler, and Bono is in it – which used to make everything very cool, but now makes whatever he’s in very serious and political. And Sinead O’Connor is in it, which makes it weird cause she’s the only person there that is my age and still doing the same thing she was then, only with MORE hair. But, essentially, it’s the same song… trying to raise money for the same cause – Africa. This time, however, it’s about West Africa and Ebola. I guess Band Aid spent the last 30 years curing famine and drought in Africa and decided it was time to focus on ebola. But none of that is reason enough to hate the song. All you have to do is watch the video. Sure, some of the lyrics have been changed; sure, the players are all new and hipper and grungier… but it’s the actual message of the song that just bites me in the wrong places. 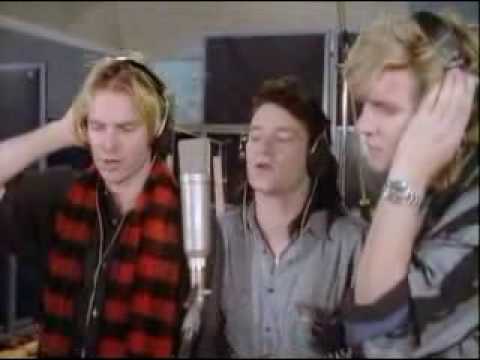 Sting, Bono and Simon sing of Christmas… moments later the world groans. See? I just want to smack people when I hear that. First, uhm, yeah… THERE IS SNOW IN AFRICA! Ever heard of Mt. Kilimanjaro – or the ski slope open in winter in Morocco? 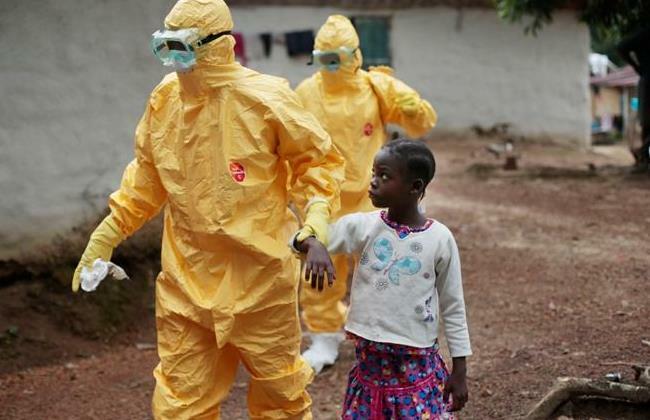 And by the way, many of the countries located in Africa – especially the ones hit by Ebola – are predominantly CHRISTIAN. And more than that, characterizing the ENTIRE CONTINENT by the famine in ONE COUNTRY is a pretty demeaning generalization of a continent that has rich and culturally diverse climates, cultures and citizens. Ditto for a killer disease. 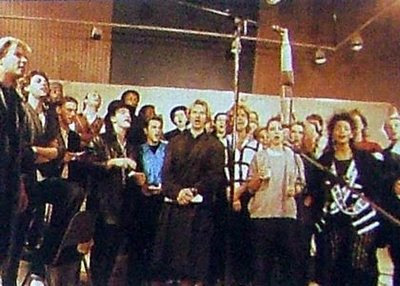 And despite the fact that many in Africa don’t want his help because of its demeaning nature and the stigma the song has given the entire continent as being full of people who are more looking for a hand-out from foreign countries than help to achieve more in their live, Bob Geldof went ahead and re-released it anyway. 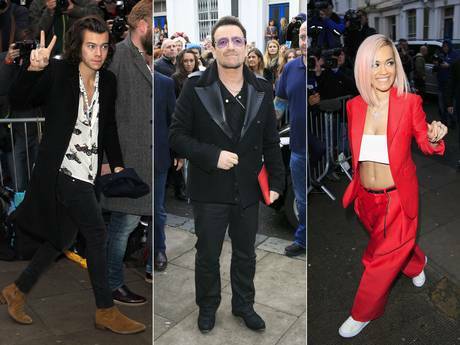 People I don’t know, and Bono, heading to the recording studio to donate their “time” to finding a cure for ebola. And the demeaning images in the video are enough to prove Africa’s point. It’s a little startling to see people in hazmat suits tending to impoverished patients clinging to survival, then be swept away to images of rock stars exiting their limos in designer suits and jewels? There’s just an overwhelming picture painted of men in white coming to save the day for the poor dying African man. And even more than that – of the rock stars lined up in the new video, only 4 of them are black, as opposed to the original’s ONE. Not that I’m saying there’s not some good in making a few progressive changes, but seriously? I guess he was doing enough of a good thing by changing the lyrics up a bit. Did Bob NOT know when he wrote that, that that is the number one fear of white people EVERYWHERE (thanks to Fox News and CNN) that they will actually be TOUCHED by one of those ebola patients and then it’s only a hop, skip and shamble to the full-on zombie apocalypse? I mean, COME ON! As if guilting us into handing over cash wasn’t bad enough, now you’re trying to scare the bejesus out of us into giving you money? And why, again, does it have to be OUR money? Why can’t it be his? or theirs, even? After all, Bob is worth more than $150 million. Would it really be too much skin off of his nose to fork over a paltry $1 million to help out? coupling” with models, starlets and celebutantes? If you look at it from an analytical position, it makes more sense for them to contribute a few buckaroonies, than for us to. Let’s face it, if Bono, who is estimated to be worth $600 million, and the rest of U2 can move to the Netherlands to avoid paying Irish taxes, surely they can toss a few million to ebola to avoid paying taxes by making a charitable donation, right? Surely, they could have hired Two Guys and a Truck instead of paying Atlas Moving Company thousands and saved enough money to throw at a worthy cause. 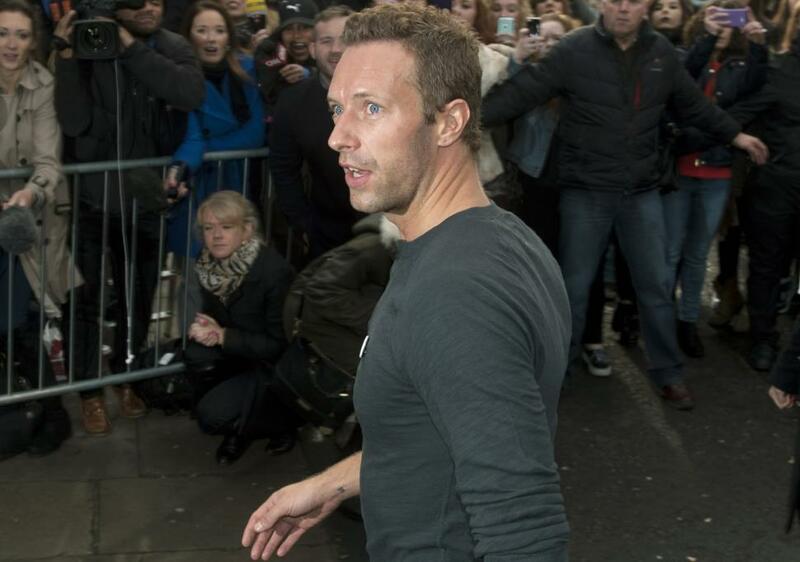 Maybe the members of Cold Play and One Direction should talk about their woes to their fans and tell them why they can’t afford to give up $3 million of the combined $106 MILLION they are worth, because they won’t be able to shop on GOOP anymore or buy goop for their hair. Go on, Bob and Bono…. tell her how the best way you can help is getting together with your friends and making a record. I completely agree with you Liz. I’ve often wondered the same thing about celebrities, or rather about anyone with a lot of money. They have millions sitting in the bank doing nothing but earning more money, so why not put that money to good use and donate to these causes. By donating the percentage that you mentioned, (or even half of that) those few celebrities would be able to donate more than we as a community could muster up. If Bob and Bono etc are as concerned as portrayed they would do so, and not even miss such a ‘small’ amount from their bank accounts. I couldn’t in good conscious live with that amount of money and not use some of it to help others. Put your money where your mouth is people, stop singing crappy songs and DO something about it.